The perfect comeback fight - for both former heavyweight champs: Tyson Fury Vs. Charles Martin! There are quite a few ironies attached to this potential (if not all that probable) heavyweight match-up, and for this reason alone, along with the fact that at this stage in their respective careers a Tyson Fury-Charles Martin fight would be an evenly matched shoot-out, it would be a whole lot of fun to see this one get done. Fury, shortly after he shocked the odds in defeating Wladimir Klitschko to take a veritable arm full of heavyweight belts, the IBF strap amongst them, was swiftly (and impossibly) ordered to defend said IBF portion against Vyacheslav Glazkov. Tyson refused, naturally (he had scarcely returned home from Germany) and Glazkov was matched with Martin in a bout for the vacant strap. Martin won, spuriously, after Glazkov’s knee blew out. Since then, January of 2016, a lot has happened. Fury ballooned in weight, got busy fighting depression and was stripped of all his remaining belts; his rematch with Klitschko failing to materialise. Martin? He seemingly handed his IBF belt to the unbeaten heir apparent, Anthony Joshua, in his first defence in April of last year, being subdued inside a couple of rounds. Now, here in the summer of 2017, “Prince” Charles has seemingly got his act together, winning two fights by quick KO. Fury, on the other hand, has yet to reassert his fighting prowess; the formidable kind he showed to all the world as he embarrassed “Dr. Steel Hammer” some 20 months ago. But Fury, at age 28 still three years younger than Martin, has vowed, many times, to return and regain. There is talk of Fury boxing again in September. And this is where it could, maybe, but not too likely, get at least a little bit, sort of interesting. How about Fury fighting Martin, now 2-0 in his own comeback, in his ring return? You can’t tell me this fight wouldn’t sell; even as an under-card bout. Fury, angry at the way he was stripped of the IBF crown he won fair and square, against Martin, the man who benefited from picking it up, in a must-win comeback fight for both? Now yer talking! And the winner, if he looks good/for real, would get within shouting range for a fight (a return fight in Martin’s case) with new, lovable, can’t-put-a-foot-wrong star Joshua. Surely some promoter somewhere can see the appeal revolving around this, a heavyweight comeback for two? Be honest – you’d tune in for Tyson Fury Vs. Charles Martin. 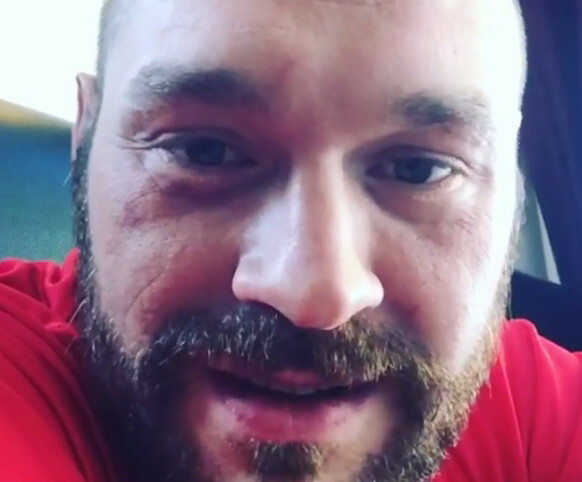 You are here: Home / Boxing News / The perfect comeback fight – for both former heavyweight champs: Tyson Fury Vs. Charles Martin!